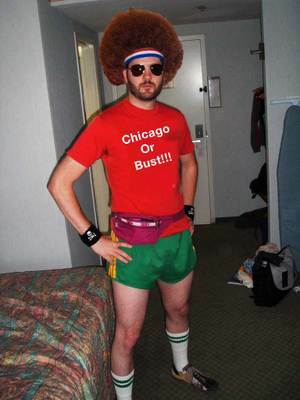 We'll if this guy can do it, so can I. I'm going to traverse the Chicago Marathon. Much like Shari, I'll be doing a combination of running and walking. I started training yesterday so far so good. I'll keep you posted. So Its been quiet here as I re-form my blogging strategy cuz lately I've been feeling like this guy. I already have the outfit picked out. one of those weeks... no time to blog.. no time to breathe... but hey.... Kevin Max of Dc Talk fame is playing over at Ogden this weekend if anyone is not doing anything on Sunday night. I had the chance to play with Mr Max at a wedding once. I accompanied him on Rhodes to Maybe On Amazed. Anyway here is the info if your in the area. Local wunder Kid Jake Rye is opening. Should be a great show. 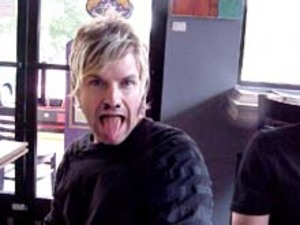 DescriptionKevin Max, formerly of DC Talk will bring his amazing vocals to Ogden Church and Lenawee County for a concert. Tickets are $7 for adults and $5 for students.